According to police, the woman was returning home shortly after 1pm when she observed two unknown males running away from the house. She then discovered that the males had forced entry to the property and had stolen a gold watch and bracelet. 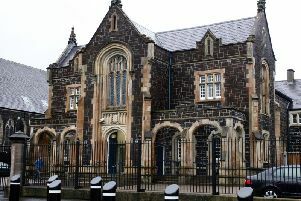 Detectives are appealing for anyone who witnessed the incident or anyone with any information that can assist with the investigation to contact detectives in Larne Police Station on 101, quoting reference number 638 of 04/10/16.